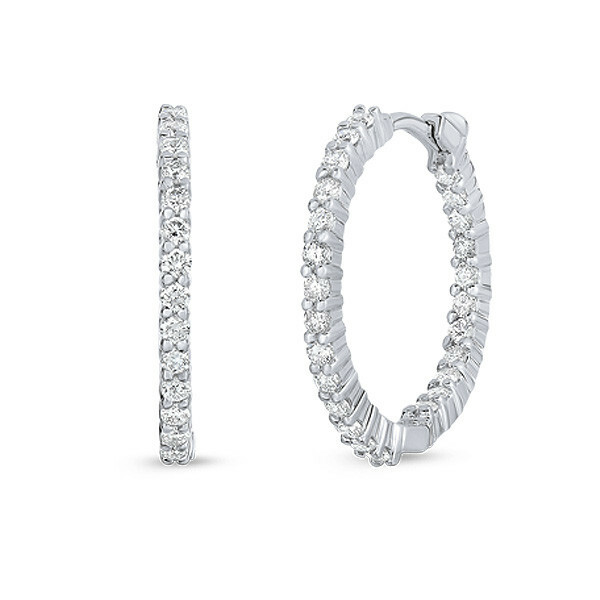 You will fall in absolute love with these earrings from Robert Coin's The Perfect Hoops collection. You see luxurious white diamonds from all sides, as the gemstones move from the outside of the 18kt white gold pair to the inside. The latch-back posts will keep these beauties comfortably and securely in your earlobes. 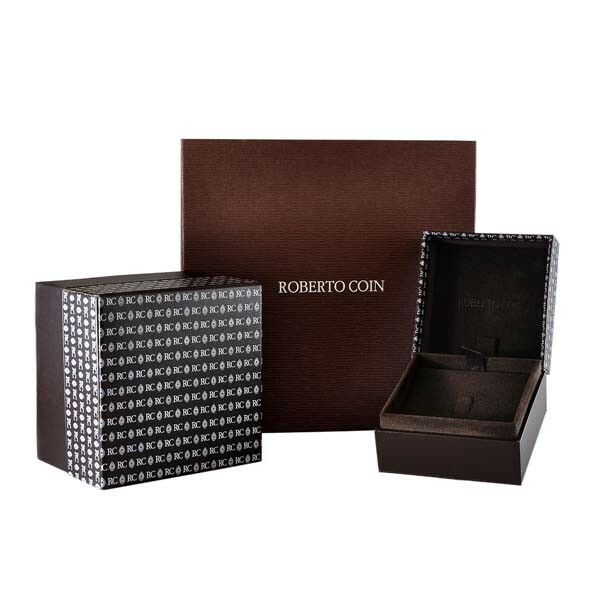 Sparkle and shine in this set of Roberto Coin diamond hoop earrings.